Raise your hand if you loved field trips as a kid? I see lots of hands. They give concrete connections, for introducing or reinforcing subjects. They strengthen abstract ideas or events. They allow for branching out in ways text cannot. They often provide hands on experiences, which we know are very good things. 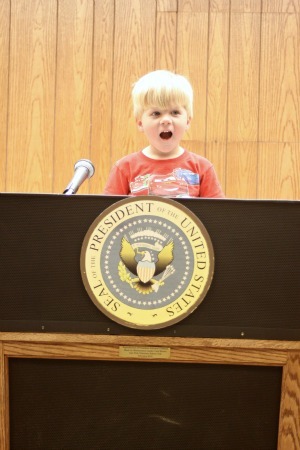 Raise your hand if you love field trips as a homeschooling mama? I’m not seeing as many hands up now. 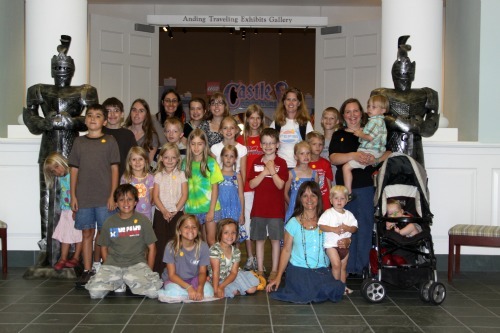 There are a few problems regarding field trips for homeschoolers. Here is some help for each issue I thought of for field trip hindrance, so as to encourage you to take the plunge. Problem 1: Sometimes it’s difficult to take a wide range of ages, logistically for the mama. There are a many ways to handle this. Be sure the field trip is short enough for you and the children. This may mean cutting out before others and that’s fine. It’s your homeschool, not theirs. Choose very wisely. If going out is difficult, it doesn’t mean you shouldn’t go out, it just means that you should make sure it’s worth your while. I’m not saying every field trip needs to relevant to only what you are studying or of top quality, but thinking it’s all or none isn’t the best idea. Enlist help. You can do this by pairing up with another mom and helping each other or by taking different groups of kids to different parts of the trip, borrowing a teen from a friend (I know mamas that do this for all kinds of things, including shopping, why not do it for field trips? ), having Dad go, or by taking only some of your kiddos. I almost always plan a trip with another family. Be sure to bring snacks and other distractions for the young ones. If you forget them, stop at a grocery store before you start the event. You’ll be glad you did. Assign specific tasks for children who get ancy. You can make check lists, scavenger hunt lists, or just verbally state a job. For example, you could ask your son to count how many swords he sees while at the museum, tell your daughter to figure out which continent each animals lives on, or have a child tally the number of times the phrase, “I have to go to the bathroom is said”. Take breaks. Take them when you and the kids need them, whether they mesh superbly with the field trip locale/group or not. Remember why you do field trips. Taking your mind off the immediate and focusing on the long term benefits are good for us when we start to feel overwhelmed. Pray for your day. Pray the night before and the morning of. And maybe during. Problem 2: We focus on academics and forget that field trips are a part of that. Book study is important, truly, but homeschooling is about more than that. Here are some ways to keep this in check. Remember why you homeschool. I have never met a homeschooler who says they are in it strictly for the book learning. If you keep your overall goal in mind, you’ll remember why field trips need to happen occasionally. 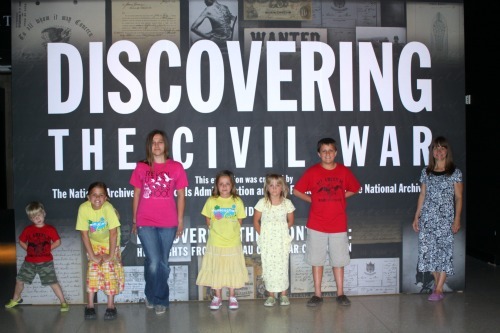 Make the field trip more academic without robbing your children of the fun. If your child’s work load is already packed, then make sure you do not overwhelm him. You may have to take a deep breath and just let them experience the field trip, trusting what they take from it. If there is room in their schedule, take the field trip a bit farther. Remember that book study is enhanced by these trips. Really. It is. So… those are some solutions to the first two problems. If you have a reason for why field trips don’t happen, leave it in the comments and I will add it to the next post. Are you up for some field trips?